The prefab Algarrobo House in Chile mimics the rhythm of the surrounding trees. 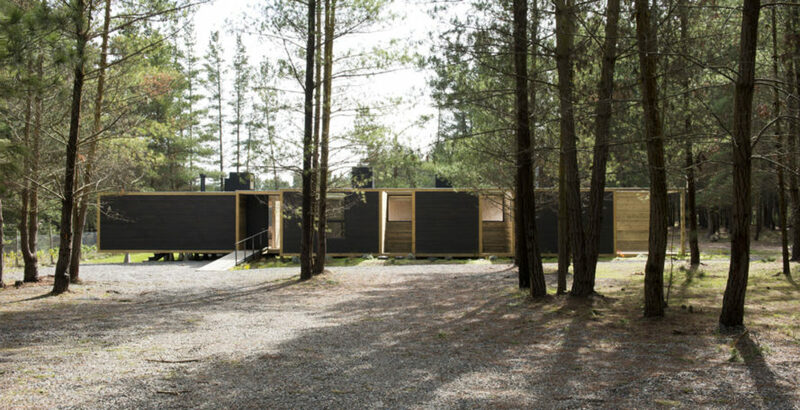 The architect took inspiration from the forest to showcase the flexibility with which prefab modules can be arranged to form any type of configuration. Garcia de la Huerta and Gleixner architects used a grid to establish the pattern of the forest, which they then repeated in the ordered volumes to create a house that can be assembled as easily as LEGO bricks. The volume of Algarrobo House is divided into areas housing different programs: private, semi-private and public. Its modular structure makes it easy to differentiate between open and intimate spaces, occupied areas, circulation, and terraces. Providing views of the forest on each side, the house becomes a perfect place for enjoying the Chilean natural landscapes. Moments of privacy are distributed throughout the interior, including in the living room, circulation routes and bedrooms. 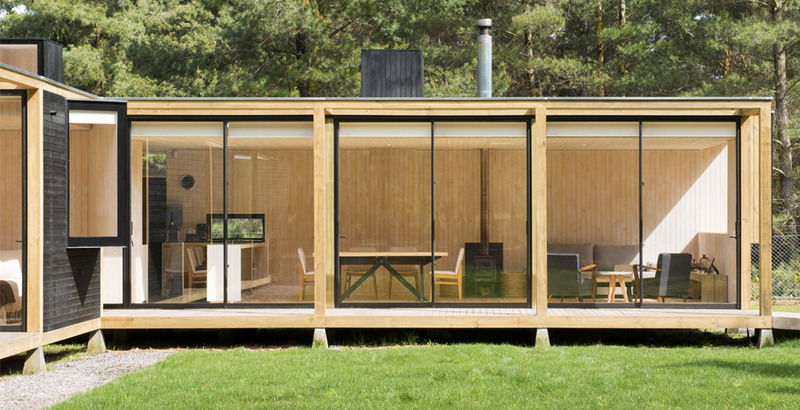 Prefab structure allowed the architects to play with the concept of rhythm and introduce subtle elements that break up the order to form distinct environments. The volume of Algarrobo House is divided into areas housing different programs. Its modular structure makes it easy to differentiate between full and empty spaces, occupied areas, circulation, and terraces. Providing views of the forest on each side, the house becomes a perfect place for enjoying the Chilean natural landscapes. Moments of privacy are distributed throughout the interior, including the living room, circulation routes and bedrooms.